The AZ Queen Palace Hotel is perfectly located for both business and leisure guests to Hanoi. The AZ Queen Palace Hotel boasts a convenient location with modern amenities in every guestroom and superb service. 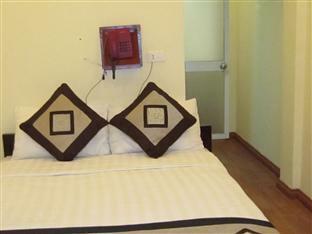 The guestrooms are equipped with non smoking rooms, air conditioning, desk, internet access, television, shower, mini bar. This beautiful Hanoi accommodation provides laundry service/dry cleaning, room service, concierge to suit all guests' utmost convenience. These top-class facilities are complemented to excellent services to meet the needs of visitors to Hanoi. For your reservation at the AZ Queen Palace Hotel Hanoi, please enter your preferred visit dates and follow our secure online reservation form.